Attorneys representing Michigan Republican legislators opposed to a proposed redistricting plan have asked the U.S. Supreme Court to intervene in a federal lawsuit alleging partisan gerrymandering. The move by the GOP attorneys came at roughly the same time that Democratic Secretary of State Jocelyn Benson, the defendant in the Michigan case, announced a proposed settlement with the case’s plaintiffs that would redraw 11 state House districts for the 2020 election, a reduction from previous proposals. Republicans, including Michigan GOP chair candidate Laura Cox, have taken to using the slur “Backroom Benson” on social media. In a memo sent last week, the GOP attorneys state that two cases the U.S. Supreme Court will likely rule on later this year would render irrelevant the federal court case set to start next month in Michigan. Should the Supreme Court accept the request to intervene, that could also lead to challenges to the consent decree. In court documents, attorneys for Michigan House Speaker Lee Chatfield (R-Levering) and state Rep. Aaron Miller (R-Sturgis) — who have both moved to intervene in the case — list multiple reasons why the nation’s high court should stay the lower court’s proceedings. The U.S. District Court for the Eastern District of Michigan, where League of Women Voters of Michigan, et. al., v. Jocelyn Benson currently sits awaiting trial, has not been inclined to do so, the attorneys allege in their request. 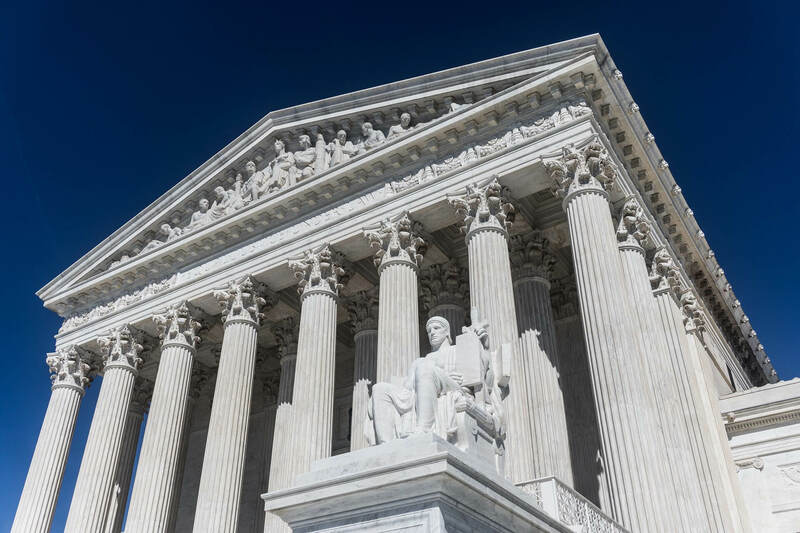 Most notably, the attorneys note that the U.S. Supreme Court has already agreed to hear two cases — one in Maryland and one in North Carolina, both alleging partisan, unconstitutional gerrymandering — and those cases “involve identical claims” to the Michigan case. Benson spokesman Shawn Starkey noted the lawsuit was scheduled to go to trial Feb. 5. “Secretary Benson felt it was her responsibility as the defendant to try and reach a settlement with the League of Women Voters that ensures a fair and equitable resolution for the residents of Michigan, saves taxpayer money and ensures fair representation,” he said. There’s been a flurry of activity in the case over the last two weeks. The proposed settlement announced by Benson on Friday would seek to redraw the maps of 11 State House districts for the 2020 election. That makes for a significant reduction from previous proposals that would have redrawn “fewer than 34” Congressional and legislative districts. Included in earlier redistricting proposals were some state Senate districts. Had those been redrawn it would have likely pushed up Senate elections to 2020 and could have resulted in at three GOP state senators having their terms cut in half, as the Advance previously reported. It’s unclear, however, how redrawing 11 state House districts would impact the lines of neighboring districts. Benson, for her part, maintains that several of the current maps — drawn in 2011 by the GOP-led Legislature and signed by Republican former Gov. Rick Snyder — are unconstitutional. Benson’s office, however, contends that all deals have been made in good faith and the parties have all had the opportunity to weigh in on the proposed settlement. “There is no backroom when lawyers for the League of Women Voters, the congressional intervenors and the secretary are all on the same email exchanging drafts of the consent decree, which is publicly filed for consideration by a three-judge federal panel,” said Starkey. In a podcast posted on Monday by MIRS, Genesee County GOP political consultant David Forsmark noted Michigan politicians’ lengthy history of gerrymandering districts and that the practice is often as much about benefiting an incumbent as it is about benefiting the party. While Forsmark said Benson’s exact motivations for wanting to redraw several districts are unclear, he added that he doesn’t believe it’s about fairer elections as the secretary of state has said. “It’s 100 percent politics,” Forsmark said. GOP is just amazing. They create a gerrymandered advantage for themselves, where the dems typically win the majority of total votes cast in the state, yet both houses of the legislature remain red. But then they scream “foul” when a reasoned fix is approved by the courts. If it weren’t for cheating, the GOP would be a permanent minority.